Empress of Japan was built for the Canadian Pacific Line to be operated on the Pacific run between Canada and the Far East. She set out on her maiden voyage from Liverpool - Quebec June 14th 1930. 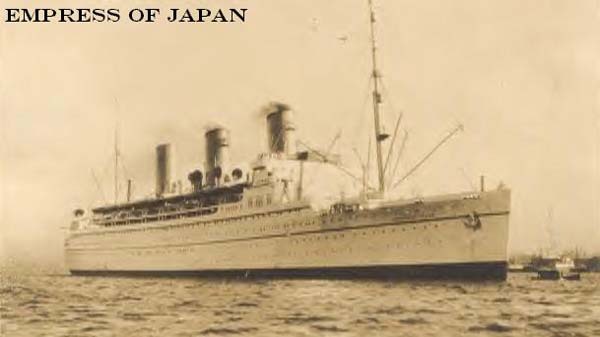 Empress of Japan then departed Quebec, transited the Panama Canal and crossed the Pacific to Hong Kong. Her first voyage from Yokohama - Vancouver was completed in a record breaking 8 days, 6 hours and 27 minutes. After nine years on that run, the British Admiralty requisitioned Empress of Japan to serve as a troopship during World War Two. The Japanese attacks on Pearl Harbor December 7th 1941 led to her name being changed to Empress of Scotland. She was returned to her owners May 3rd 1948 after successfully transporting troops throughout the world and completing her repatriation duties. Empress of Scotland set out on her first post war voyage from Liverpool - Quebec May 5th 1950. She was then operated between the Liverpool - Greenock, Quebec and Montreal run in summer and cruises out of New York - West Indies in winter. 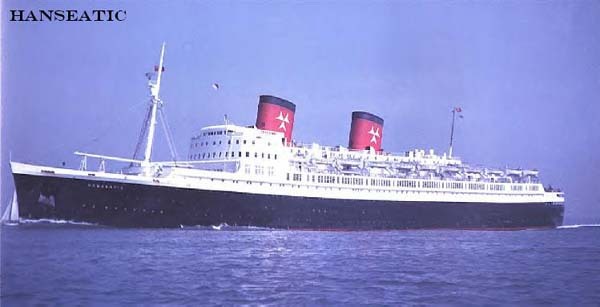 The completion of the Canadian Pacific Lines Empress of England in 1957 led to Empress of Scotland being sold to the newly formed Hamburg Atlantic Line. An extensive refit by the new owners saw her three funnels replaced by two shorter thicker funnels and her bow reshaped into a more modern design. With that work complete, she was operated on the Cuxhaven - New York run from July 21st 1958 under the name Hanseatic. The Hamburg Atlantic Line operated Hanseatic between that route in summer and cruising in winter until a fire broke out in her engine room at New York September 7th 1966. After being towed from New York - Hamburg for repairs, an inspection of the damage showed her to be beyond repair. This led to Hanseatic being dismantled at Eisen & Metall AG of Hamburg in 1967.